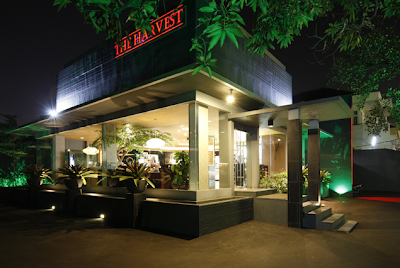 Another restaurant trip and this time I went to The Harvest Patissier & Chocolatier at Pluit. It's located in front of Pluit Village, so it's not that hard to find. I don't usually dine there, but yesterday I was feeling kinda bored at home, so we did dine there. I got the chocolate cheesecake because I'm kinda bored with the regular strawberry cheesecake. The taste of cream cheese mixed with chocolate complimented each other and it was very scrumptious! The texture is creamy and chocolately. 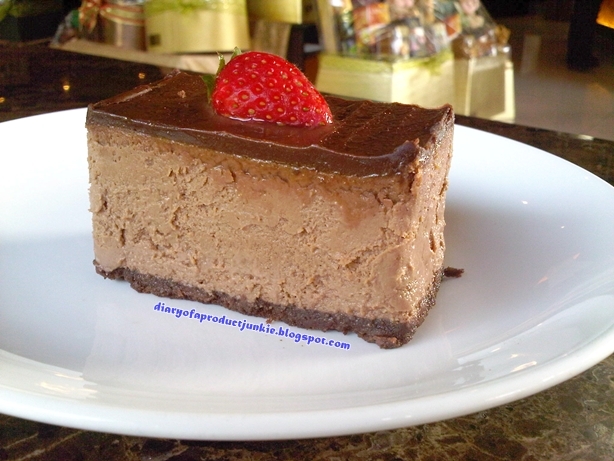 However, the chocolate ganache on top can be a bit too much because the choco cheesecake itself is quite creamy. My little brother ordered the Blueberry cheesecake. The sourness of the blueberry syrup on top add a dimension to the cheesecake. My bf got the Strawberry cheesecake because strawberries are one of his favorite fruits, aside from kiwi. 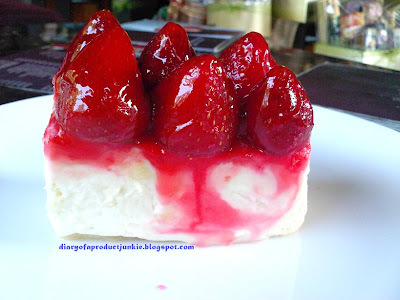 The strawberry syrup is also a bit sour which further compliments the sweetness and creaminess of the cheesecake. 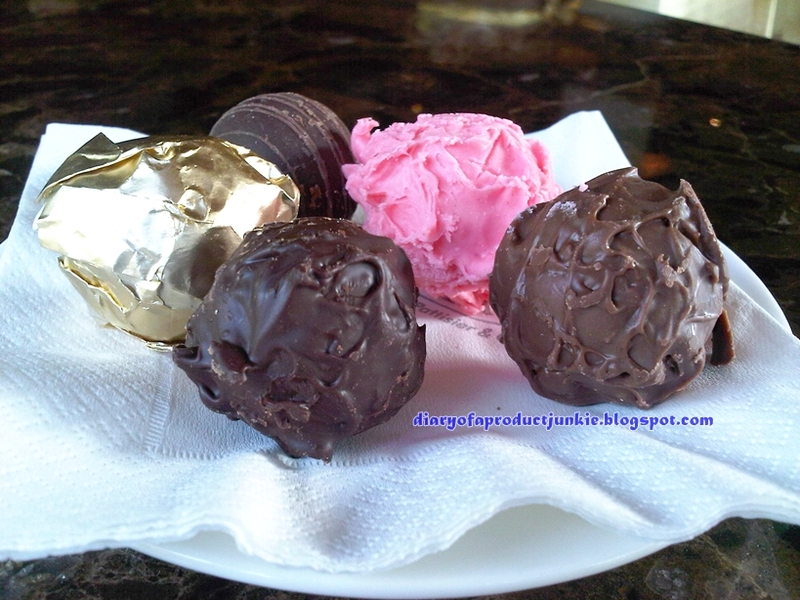 We also ordered chocolate truffles because they just look cute and delicious. For drinks, my little brother got a smoothie called 'Blueberry Runner'. 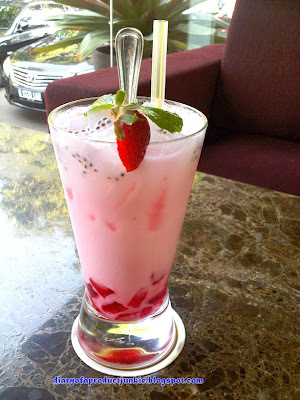 Since all of us are not too keen on sweet tasting food or drinks, this on is a bit too sweet for my taste. It doesn't have enough sourness to counteract the sweet syrup. My bf got the 'Pink Lady' mocktail because it looks really tempting. I teased him saying that he has the most feminine drink out of all of us, but he laughed it off and drank it anyway. He says it's too sweet and has too many ice cubes. 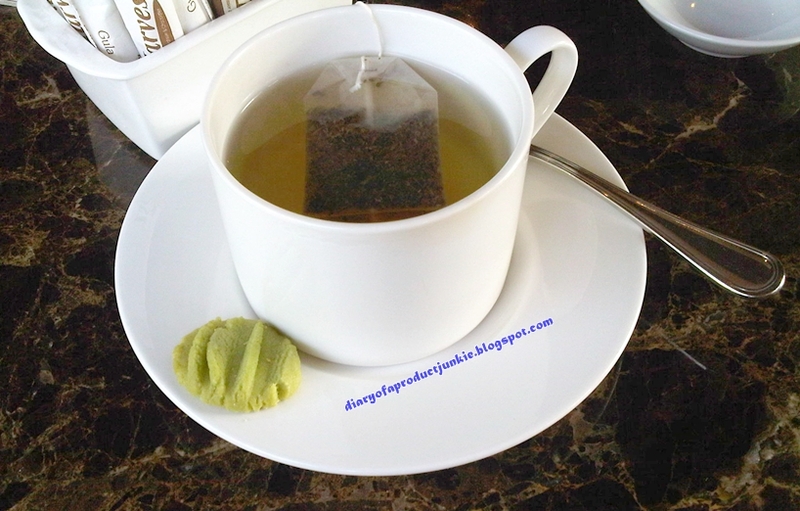 As for me, I'm into sweet drinks if I'm already eating something like a cake or a cookie, so I ordered hot green tea to wash the sweets away. 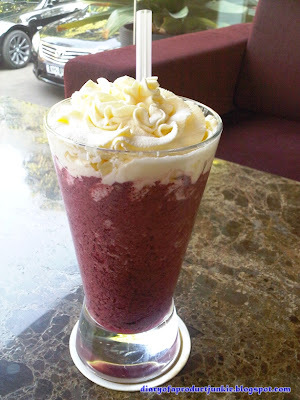 It costs Rp 12,000. Each glass comes with a small cookie. 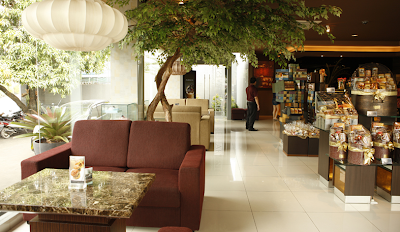 Since we came in the afternoon, there aren't that many patrons, so the atmosphere feels relaxing and quiet. 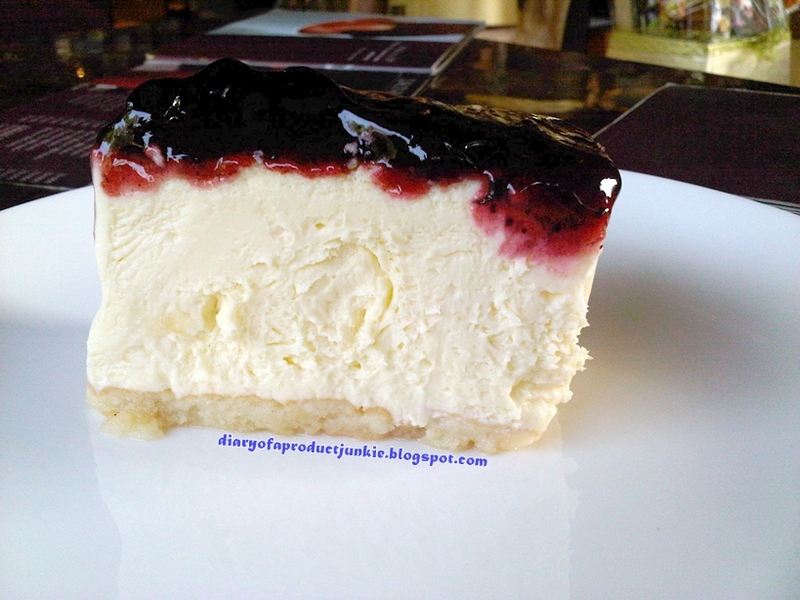 It's a nice place to sit and chat with friends while eating a slice of cheesecake. However, they only have 3 tables, so it might not be a right place to have a reunion or an event. The service was excellent, the waiter was very polite when taking our orders and also helpful in recommending the drinks to my bf and brother. I've never seen such an excellent service in a patisserie. I think his name was Budi, or at least that's what it says on the bill. So, if you live near Pluit, be sure to stop by The Harvest and pick up their famous Strawberry Cheesecake or even dine there!